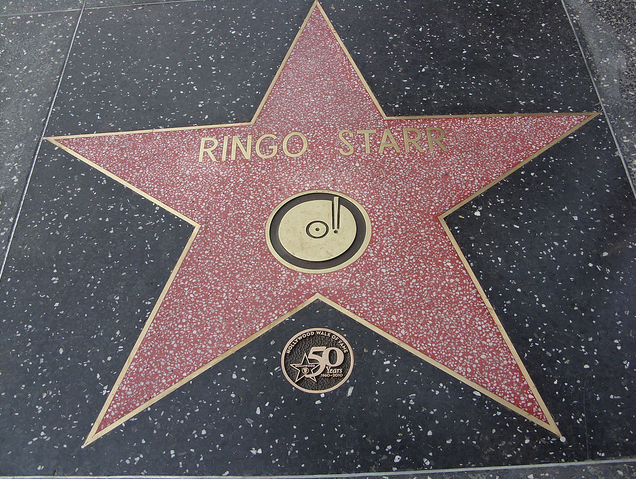 Location – 7080 Hollywood Blvd. 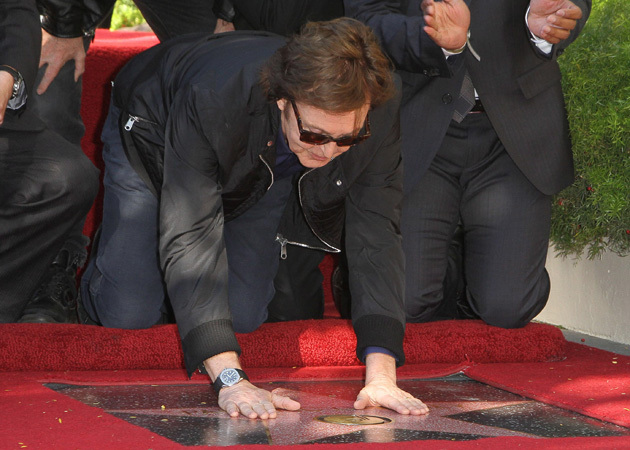 Paul McCartney finally got his star!!! It would appear to me that Paul is putting himself off to be last this time around. 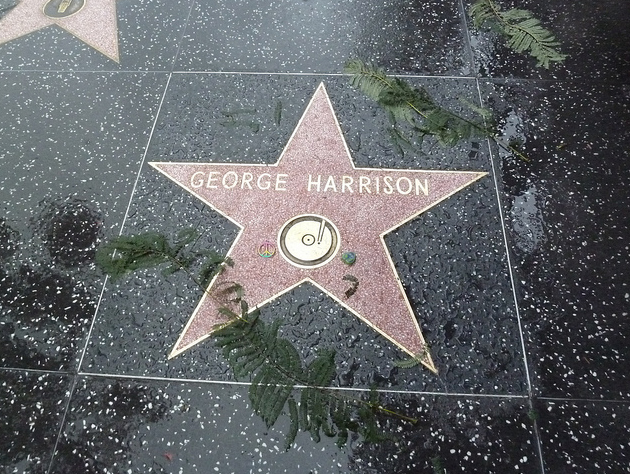 He is waiting until all his Beatles Brothers are honored before he would accept a star for himself. 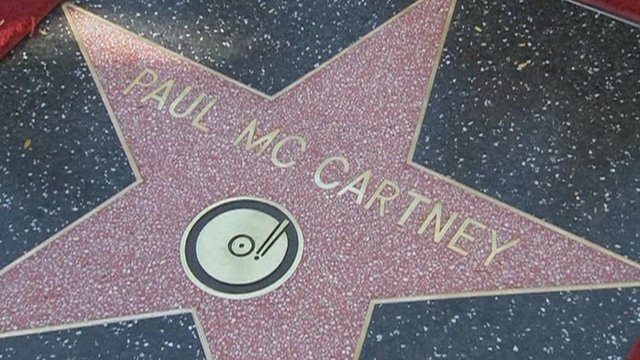 Paul, I believe, was first nominated in 1991, which is only three years after the Late John was awarded a star. The nomination ‘lapsed’ in 1998 because Paul was not able to schedule personal appearance at the Presentation Ceremony – which I agree, sounds corny, considering Paul has a house in Arizona, and as a matter of fact was able to appear at George’s unveiling ceremony. 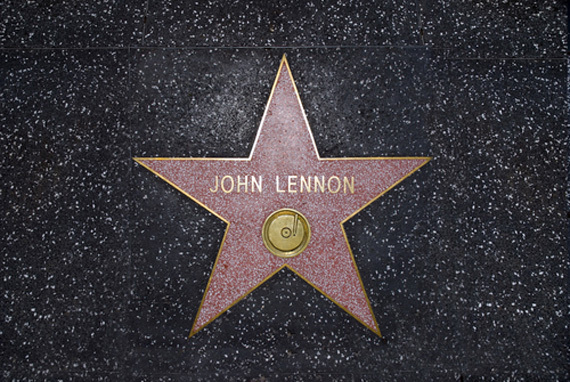 DEFINITELY, he is waiting for all his Beatles Brothers to be awarded first, before he would accept a Hollywood star himself. 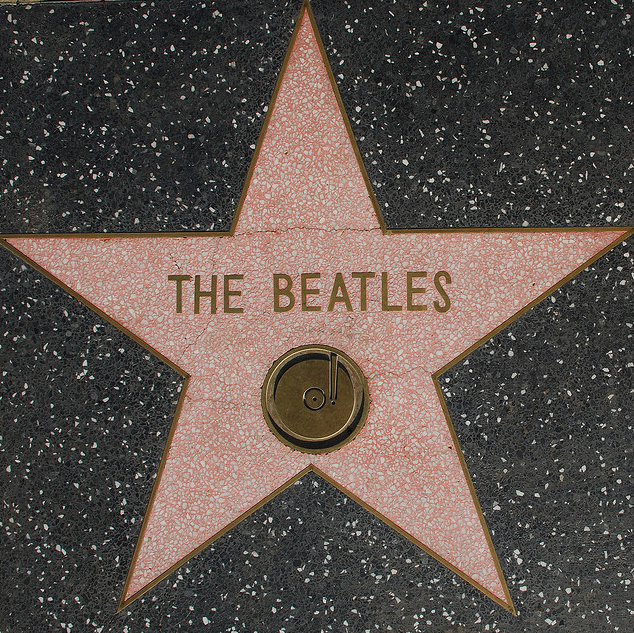 Does anyone else think The Beatles’ star needs rejuvenating? It is already cracked in more than one places. Paul had a hissy fit and didn't join the Beatles when the group was inducted into the Rock Hall of Fame. He then figuratively flips the board the bird when finally inducted as a solo artist years later by asking his daughter to come to the stage, who is wearing a "it's about f***ing time!" tshirt. No, this is one arrogant a**hole. I say no show, no star.